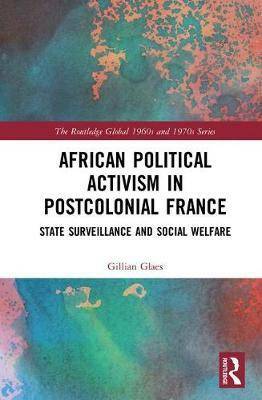 African Political Activism in Postcolonial France engages with several areas of scholarly inquiry, ranging from the study of immigrants to the investigation of surveillance and the legacy of colonialism. Within migration studies, many important analyses have focused on integration, yielding critical contributions to our understanding of immigration and identity. This work moves in a different direction. Factoring in the dynamics of colonialism, decolonization, and their effect on immigrant political activism and state policy in the postcolonial, Cold War era reveals that immigrants from francophone Sub-Saharan Africa were key players who shaped the development of public policy toward immigrants. Through this approach, we can understand how republicanism, colonial ideology, immigration policy, and immigrant political activism intersected in the post-colonial era, shaping the reception of African workers and affecting their lives and experiences in France.